Disclaimer: I was given a hat and glove set to review in exchange for my honest opinions. Your views may differ from mine! Thank you! 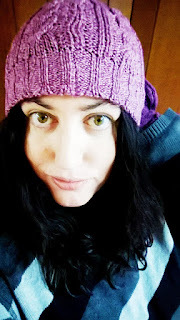 Every Christmas I like to find a new hat, scarf or gloves as a present and am always happy even if that is all I get - why? Because it is one of the best gifts anyone could give, being as I get really cold in the winters we have here, that I am still not used to and will probably never adapt to! I am a hat person, always have been, and the more the merrier is definitely for me! I like pinks and purples a lot and so this purple hat and gloves from Heat Holders are just my style! A friend and I are always out and about throughout the year and winter doesn't keep us from visiting Santa or attending a church function or a community event with the kids and the main thing we have to keep in mind at all times is just to bundle up and keep warm. I have tried Heat Holders for a couple of weeks, now, and so far they do the job and then some. The lining keeps my head warm and toasty and there have been times when I've had nothing but a sweater on, without a coat, and the hat and gloves were enough to keep that extra wamth in that I needed - which makes sense seeing as a lot of the heat you lose is lost through your head! I like the gloves a lot! 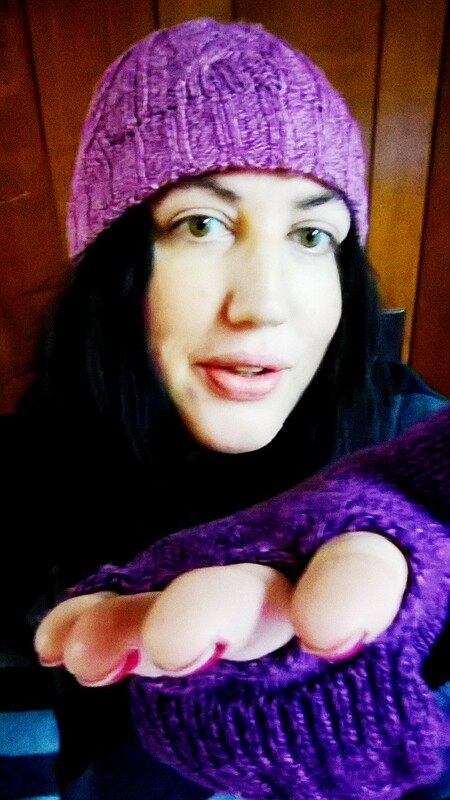 They are fingerless, which means it is easier for me to get some things done than when I have full gloves on, but they ae also mittens as you can wrap the top part up and over your fingers any time you like! I still can't text with these gloves as the thumb is constantly covered but if you just want to select a few things here and there on your phone then you can easily use your index finger or similar and so there is always an advantage! I like the style and fit of both products and I will wear them through the season and probably won't put them away until late spring! I am so happy to have come across them because they were just what I was looking for. Heat Holders also make warm socks and other apparel to keep you going through the colder months and you can check out all they have to offer over at their site, which can be found, here! You can also find Heat Holders on Twitter and Facebook as well as other social media sites to keep up with the conversation and to see what is new as and when it happens! There is something for everyone, so check them out and let me know if you have any of their goodies, already! I'd love to know what you think! Follow my gift guide at #mgbhgg and at the tab, above! These look so comfy, love the finger less gloves!